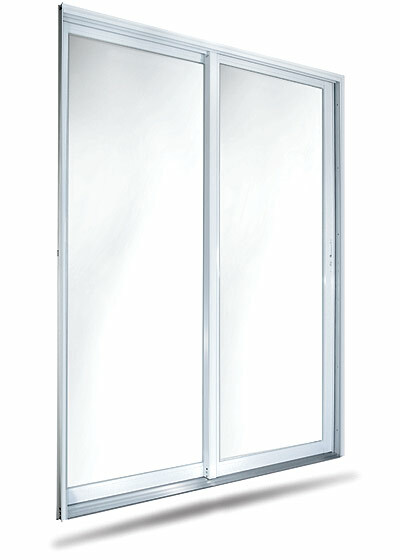 The beauty of Sliding Glass Door is now available with superior HURRICANE GUARD Protection. Choose from our panel configurations, or ask about custom size availability. Get a designer look without sacrificing strength and durability. Classic colonial styling is available. All door members shall be of commercial quality 6063 aluminum alloy to T5 and T6 temper. Door stiles shall be notched to allow top and bottom rails to telescope into stiles for maximum strength. Locking and fixed stiles to be of tubular design with minimum dimension of 2 5/8” x 1 1/2”. Tubular interlock stiles shall have a minimum dimension of 2 1/2” x 1 1/2”. Both vertical stiles and horizontal rails are an assembly consisting of the base extrusion, and a snap fitted aluminum glazing adaptor containing a compressible (geon) vinyl bulb, applied to the exterior of each panel member to conceal and protect the glazing rebate. Tracks shall be of sloped exterior design with a 2 1/4” vertical riser as standard. An optional track with 3” vertical riser shall be available for conditions requiring higher positive pressures. Top of vertical door stiles shall be joined to horizontal rails using two #10 x 3/4” sheet metal screws. Bottom door rails shall be joined to stile using one #10 x 3/4” sheet metal screw. Doors, jambs and headers shall receive an electro-statically applied 1.0 mil dry fill thickness coating which meets the performance requirements of A.A.M.A. 603.5 in a choice of bronze or white. All tracks and thresholds shall be finished. Doors shall be glazed using 7/16” thick laminated glass consisting of one lite of 3/16” heat strengthened glass on inboard and outboard side and an .090 polyvinyl butyral (PVB) interlayer. Glass of varying colors shall be specified. Latch shall be surface mounted in white or black pained finish with integral interior and exterior pull handle. Positive acting thumb turn on interior will actuate steel mortise bolt. Latch housing shall contain adjustment feature, which will permit alteration of bolts travel, facilitating minute adjustments if necessary. Surface mounted hardened steel door keeper shall also provide for vertical adjustment. A high quality 5 pin cylinder keylock to actuate the door latch from the exterior is an added option. Keylocks may be keyed alike or master keyed upon special order at additional cost. Bottom door rail shall contain two tandem roller assemblies, each assembly containing two 1 3/4” diameter ball bearing rollers, assembled with hardened steel inner and outer race. Stainless steel wheels are available at added cost. Each bottom rail shall have a 7/16” diameter access hole in its exterior surface that permits entry of adjustment tool which when turned will raise or lower door. Each adjustment hole shall be protected by a 7/16” diameter nylon port hole cover. This entry was posted in Impact Doors Models, Lawson Impact Doors, Lawson Windows and Doors, Sliding Glass Impact Doors and tagged florida doors, impact doors center, impact doors miami, lawson 9200 series, lawson doors, lawson impact doors, miami doors, sliding doors, Sliding Glass Door. Bookmark the permalink. 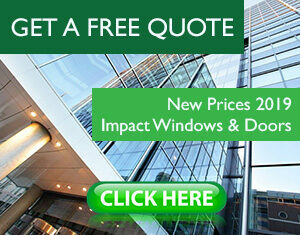 ← Want to replace your home’s normal windows for impact windows?